In the Italian cities of Rome and Turin, you will find a wonderful place of ideas, filled with pharmacist apprentices and wizards, where the world’s number 1 pharmacy designs are born. Sartoretto Verna™ is an Italian business, founded in 1965. Sartoretto Verna™ not only designs pharmacy furniture and unique sales environments, but it also has its own creative laboratory (CAPSULA), held by leading architects, companies, and consultants with the aim of supporting its customers in the creation of winning pharmacies and companies with high profitability. HOW CAN YOU IMPROVE THE PERFORMANCE OF EVERY PHARMACY? … are just some of the recurring problems we see in pharmacies, ones that cause thousands of euros worth of damage. activate impulse purchases and render up to €60,000 per meter per year. “We create based on customer needs and get pharmacies to differentiate themselves from the competition by regaining control of their business, independent of changes in the law, economic crisis, patents, Amazon or increase in competition. We use storytelling to communicate your own personal story and your values. We can create a UNIQUE AND EXTRAORDINARY EXPERIENCE for customers coming into the pharmacy, one that generates word of mouth. The study aims to increase efficiency in the use of space through careful structural examination whether it is for an extension, refurbishment, a soft restyling or new construction. Winner of numerous national and international awards for planning and design of commercial spaces, boasting numerous patents and original projects in 30 countries worldwide. 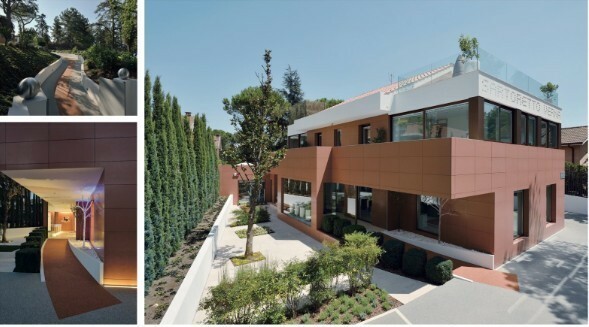 To fully understand the philosophy of this company, the continuous research of materials and the meticulous attention to detail requires a visit to its headquarters in Rome in Via Trionfale 13592. You will be welcomed in a 2000m2 park where you can immerse yourself in the future of avant-garde architecture, technology, art and design in our showroom. In the heart of the centre of Turin you can experience the new Sartoretto Verna systems in our 220m2 showroom in the historical and recently restored Colli di Felizzano building. We are NOT commercial or aggressive but PROFESSIONAL. An emotionally stimulating and interactive place where you can share your wellbeing and that of your nearest and dearest. Our main objective for 2018, according to MD Luca Sartoretto Verna is the realization of “phygital & green” environments, perfectly integrated with the digital world, sustainable, and where people feel good about themselves.